Very severe mechanical constraints at circuits and on rallies require an engine lubricant assuring optimal and constant performance. As a recognized major motorsport player, Motul benefits from the best world's laboratory to test its lubricants in racing, in the most extreme conditions. For several decades, Motul has perfectly mastered the ester technologies which combines with an optimal selection of high performance synthetic base oils and coupled with an innovative package of addictives offer exceptional synergy. 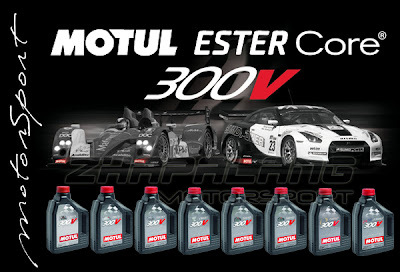 This is the Motul technological evolution : Ester Core®. Used exclusively in the 300V range, this technology guarantees you obtain maximal performance, above existing standards. PROTECTION - Optimised polarity for maximal adherence of the oil film. LOW LUBRICANT CONSUMPTION - Exclusive formulation of low volatility synthetic base oils. Check out the brand new 300V video by Motul. 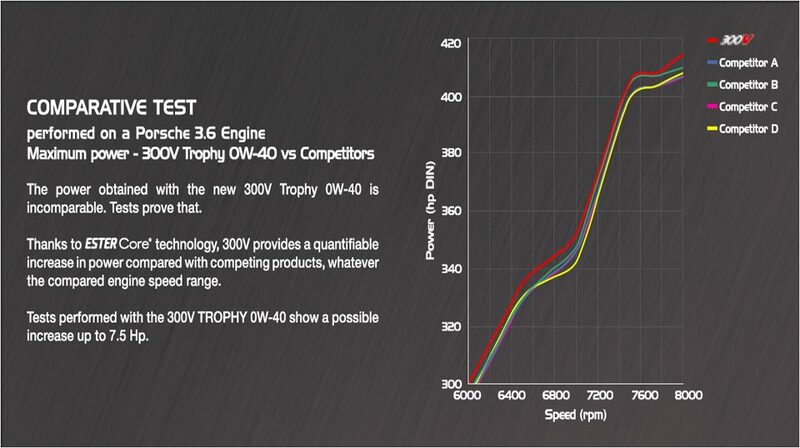 The last evolutions of the 300V are the result of an ongoing development process started a few years ago. 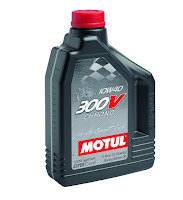 The 6 viscosity grades that already existed have been reformulated. Two viscosity grades have been added: a 0W40, mainly to optimize power and reliability and a 0W15, with power as a goal, to be at top places on a starting grid. The 300V power and reliability, is obtained by the exclusive mix of an optimized additives' package with Motul latest technology: The Ester Core. 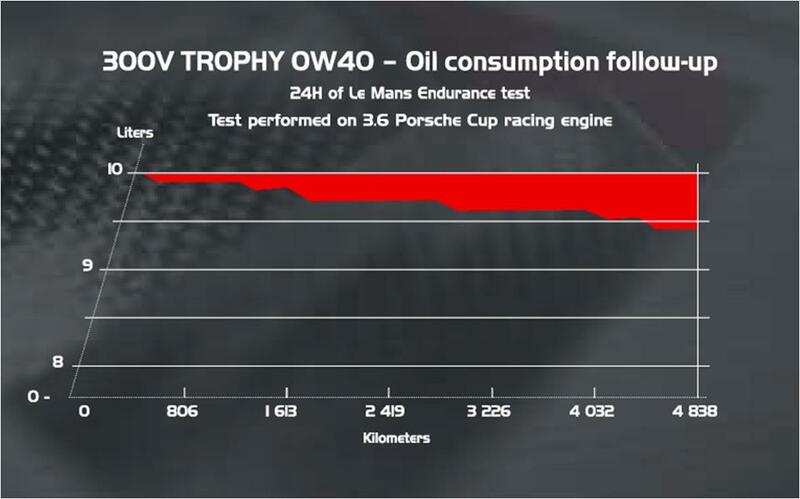 After the 24H race test, oil consumption is very low: under 0.6L without any top-up. This performance shows the very low volatility of ESTER Core technology. 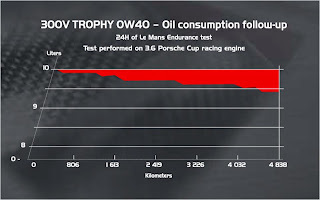 Performed on a Porsche 3.6 Engine. 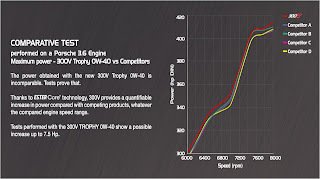 Maximum power - 300V Trophy 0W40 vs Competitors.